The Abbotsford. B.C. senior has pulmonary fibrosis, a chronic and progressive lung disease, and when she first viewed the condo as a potential buyer in 2015, there was no smoke smell, according to a decision from the B.C. Human Rights Tribunal. But before she and her husband took possession of the suite that November, two habitual smokers had moved in downstairs. This week, the tribunal ruled the strata had failed to accommodate Bowker’s disability, and ordered it to pay her $7,500 for injury to dignity, feelings and self-respect. In strata housing — typically condos and townhomes — the owners own their individual strata lots and together own the common property and common assets as a strata corporation. Stratas can create bylaws to govern residents. Bowker told the tribunal she was “horrified” to discover the smoke odour when she moved into her new place in the Clearbrook neighbourhood. “Ms. Bowker began opening the patio doors even though it was late November, and purchased large fans to try to blow the smoke outside. She also bought two air purifiers. These measures were of little avail,” tribunal member Emily Ohler wrote. Ohler said the condo complex’s strata “did very little” to help Bowker for a full year after she first complained about how the smoke was affecting her, and her health deteriorated during that time. The lack of action from the strata, “prevented her from enjoying a regular existence within the confines of her home; it exacerbated her disability; it had a negative impact on her mental state; and it added to her already heavy mental load during a time she was dealing with her husband’s deteriorating health,” Ohler wrote. The tribunal’s ruling provides an interesting discussion of how to balance individual property rights with the responsibility to accommodate a disability, and the need for strata councils to educate themselves on human rights law. Bowker’s lawyer, Jonathan Blair, said the decision clarifies the legal obligations of strata councils, which tend to be made up of volunteers with little working knowledge of property law. “It’s not necessarily legitimate for us to hold on to this sense of, ‘But a person’s home is their castle,’ as a defence against accommodating someone who’s facing a barrier. In the end, sometimes we have to give up … certain freedoms,” Blair said. As Ohler points out, many cities and strata already place numerous legal limits on what people can do inside their own homes, including noise bylaws and rules against pets. According to the decision, Bowker spoke to her neighbour, identified by the initials LR, shortly after she moved in. But the woman and her husband were defensive and Bowker wrote to the strata to complain on Dec. 15, 2015. In turn, the strata wrote to LR and said any measures to minimize the smoke coming from her condo “would be greatly appreciated.” It also ensured some physical work was done on the two units in an attempt to contain the fumes. But these steps did not stop the smoke from entering Bowker’s apartment, the decision says. By the end of 2016, Bowker was still asking the strata for a solution, but the situation was getting dire. A doctor’s note submitted to the tribunal showed that she was beginning to have suicidal thoughts as well as having her health affected. “She said, among other things, that her recent pulmonary function test showed a noticeable deterioration. ‘This is a matter of life or death for me, literally,’ she said,” Ohler wrote. The strata sent a cease and desist letter to LR and her husband in December 2016, to no effect. A month later, the council threatened to fine her under a nuisance bylaw, but LR replied with a letter pointing out that her nicotine addiction was also a disability that could be protected under the Human Rights Code. According to the decision, the strata council brought a non-smoking bylaw to a vote at two annual general meetings in response to Bowker’s complaints. Both times, it didn’t garner the necessary 75 per cent of votes to pass. But Ohler said the council did not properly explain to strata members why the bylaw was being proposed. “It appeared to see the non‐smoking bylaw as a kind of lifestyle choice, rather than as a part of its efforts to meet its legal responsibilities. At least in part, the result was that Ms. Bowker was subjected to inappropriate remarks and made to feel ostracized from the community,” Ohler said. She ordered the strata to stop discriminating against Bowker, but held off on ordering it to enact a non-smoking bylaw. That’s because the strata is waiting for a decision from the Civil Resolution Tribunal on whether LR violated the nuisance bylaw. Ohler said Bowker and the strata could return to the tribunal if the CRT does not resolve the matter. Ohler added that, while LR would likely have an argument that her nicotine addiction is protected as a disability, her rights would have to be balanced with Bowker’s if the question came before the tribunal. 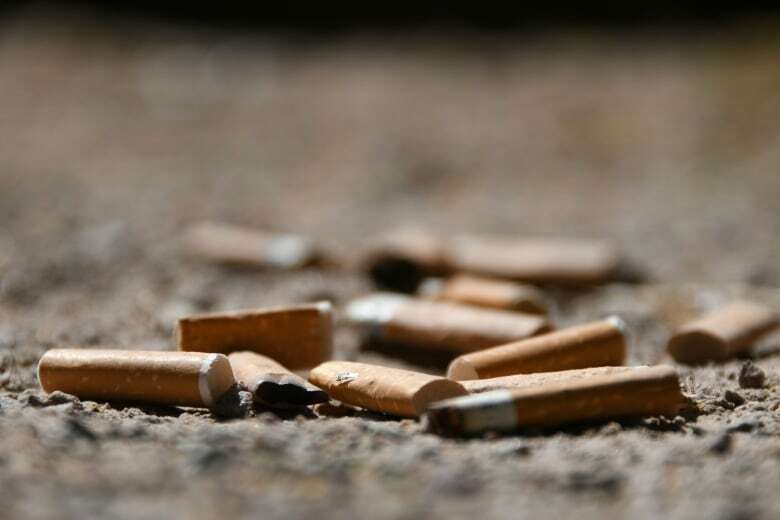 “While a person addicted to nicotine may be able to go outside of their unit to smoke, a person with a smoke‐sensitive disability cannot be expected to go outside to safely breathe,” Ohler wrote.